Pressure injuries (also known as pressure ulcers) are caused by intense and long-lasting pressure that damages the skin, and the tissue under the skin. They can develop in a very short time and take a long time to heal. 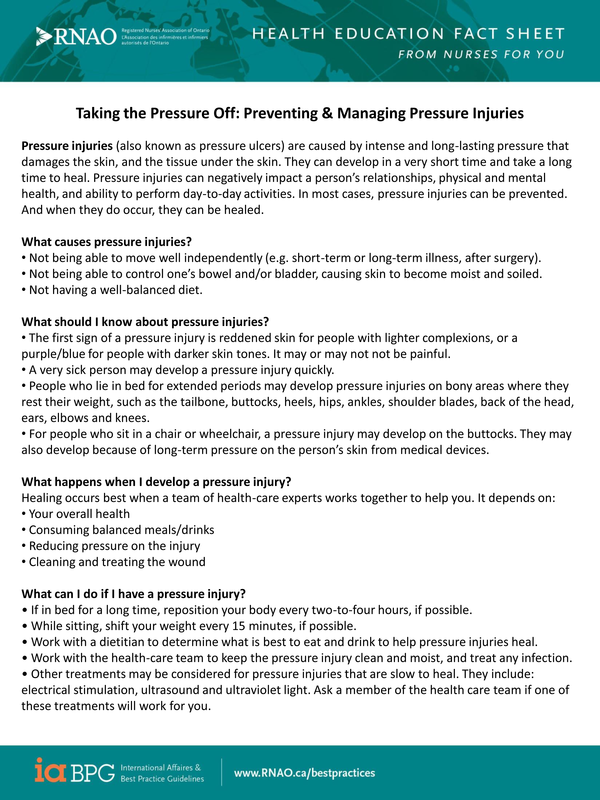 Pressure injuries can negatively impact a person’s relationships, physical and mental health, and ability to perform day-to-day activities. 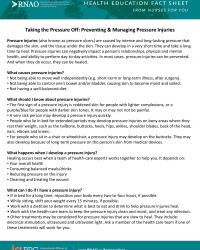 In most cases, pressure injuries can be prevented. And when they do occur, they can be healed.